Имате въпрос към Xishuangbanna Hotel Managed by Xandria Hotel? 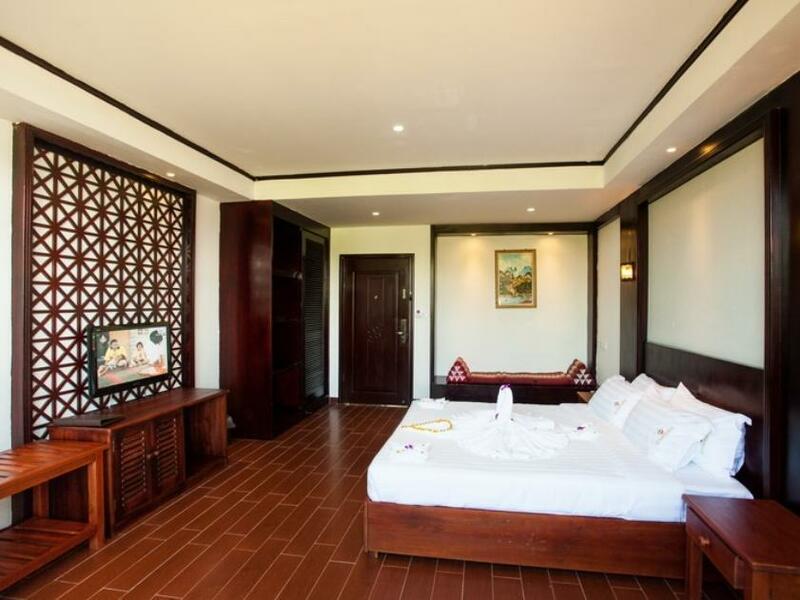 Построен през 2012, Xishuangbanna Hotel Managed by Xandria Hotel е важно допълнение към Луанпрабан и разумен избор за пътуващи. Оттук гостите имат лесен достъп до всичко, което този оживен град може да предложи. Ако се интересувате от забележителностите и местните атракции, няма да ви се наложи да отивате далеч, тъй като хотелът се намира в непосредствена близост до Стадион Луанг Прабанг, Иммиграционен Офис, Wat Manorom. Xishuangbanna Hotel Managed by Xandria Hotel също така предлага много съоръжения за обогатяване на Вашия престой в Луанпрабан. Най-важните съоръженията на хотела са 24-часов рум-сервиз, безплатен WiFi достъп във всички стаи, 24-часова рецепция, експресно настаняване/напускане, съхраняване на багаж. Като допълнение всяка хотелска стая предлага широка гама от удобства. Много от стаите са с телевизор с плосък екран, допълнителна тоалетна, хавлии, достъп до интернет (безжичен), безжичен интернет достъп (безплатен), за да удовлетворят и най-изискания вкус. През деня можете да се насладите на отпускащата атмосфера благодарение на открит басейн, масаж, градина, караоке. 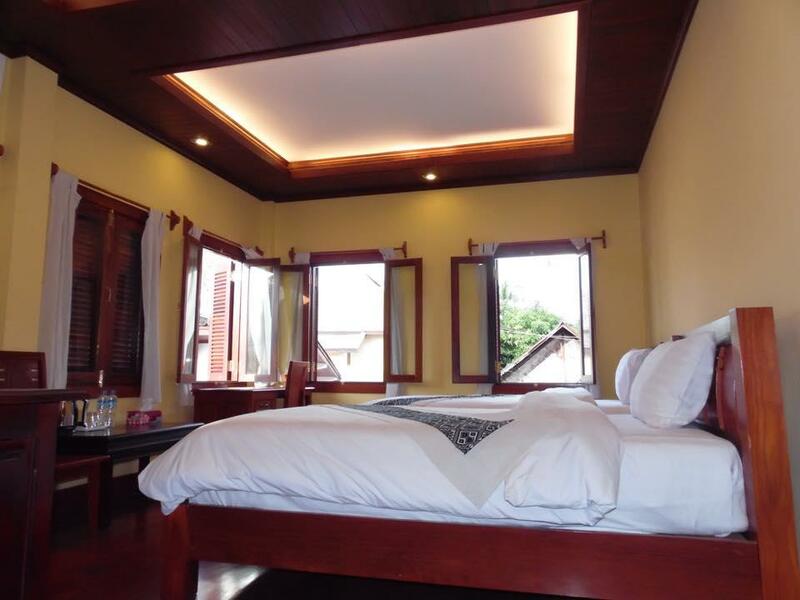 С превъзходните си удобства и отличното си местоположение Xishuangbanna Hotel Managed by Xandria Hotel е идеално място, в което можете да се насладите на престоя си в Луанпрабан. It’s location is far from eateries and night bazaar. Staffs like house keepers don’t even respond when greeting them. room standard, outside area (pool) and surrounding nature. Very nice, but I'm sad to say the staff don't speak english, so their restaurant/in room dining doesn't work. A shame really, cause hotel is located 2.5 km outside of town, so food at hotel some nights would be good after a long day around town (and walking home). Hotel appears to be still unfinished, with 2 wings under construction. That being said the wing we stayed in was absolutely complete, and well appointed. Must have been the time we stayed (early November) but we were pretty much the only people in the hotel, so breakfast was a little humble as there was no buffet (makes sense if only 2 patrons in the place). There was a fair language problem, and it was hard to be understood in some circumstances, but we always got there in the end. Funny thing was there were no chairs or umbrellas around the pool, so it was swim and go back to the room stuff. Hard to relax when you are standing up...lol overall a nicely fitted hotel, good wifi and aircon, but a fair distance from town, absolutely have to get a tuk tuk out and back. We choosed this hotel because of 1. swimming pool 2. free bike rental 3. safe on the room. The pool was dirty, there were no bikes and there was no safe on the room, so this hotel was very dissapointing! We would not recommend this hotel! The hotel located pretty far from night market. You may need to call for tuk tuk and it could cost around 20k kip per trip. The mattress was hard and can feel the spring. It is not comfortable. I think the hotel should upgrade the mattress and maybe provide free shuttle to night market. Great comfort, big, nice bed but the hotel is 40 min walking distance away from the center. The hotel provides two fixe bicycles, but not enough for all the guests. They do call you a tuktuk if you want one, but it s to cheap service to use at least twice a day, to and from the hotel. 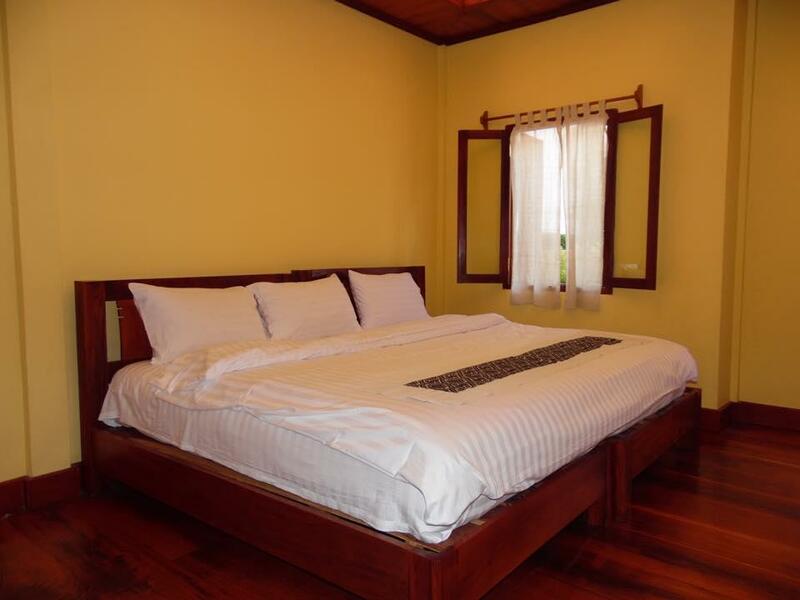 the hotel is located a few kilometers outside of town. But I see this as an advantage as therefore it was in a very quiet location. The rooms were exceptionally beautiful and very large. We had a very nice big balkony facing the pool from where you can see the sunset. Staff was very friendly and there were several bikes for free to go to the city center. I'm happy we stayed there, first off. But there were some glaring oddities/negatives that could easily be fixed for future guests. We booked a standard room (no balcony) only because the rooms with balcony did not offer a double/queen, only 2 singles. However, upon arrival, the standard room was boxed in with no view or sunlight (main building is 5 feet from the window). I asked front desk about upgrading, explaining that I booked the cheap room ONLY because of the double bed issue; they were terrific, allowing us to pay the 10 USD extra to upgrade, even moving a queen bed from our original room to the upgraded room with a balcony! I was happy with the new room, but these may be personal issues that others may not worry about: 1) There was 1 English television channel, CCTV America. 2) The free wi-fi in the room did not exist. I had to sit on the balcony to get a signal, which even then was very slow! This wouldn't be too much of an issue normally but the temperature during our New Year stay was quite cold and it wasn't easy to relax on the balcony for very long...particularly due to the terrible television options. 3) The water of the shower was horrible! The rainshower was barely dripping and it was a chore to rinse the soap/shampoo off! No kidding, it was really bad. 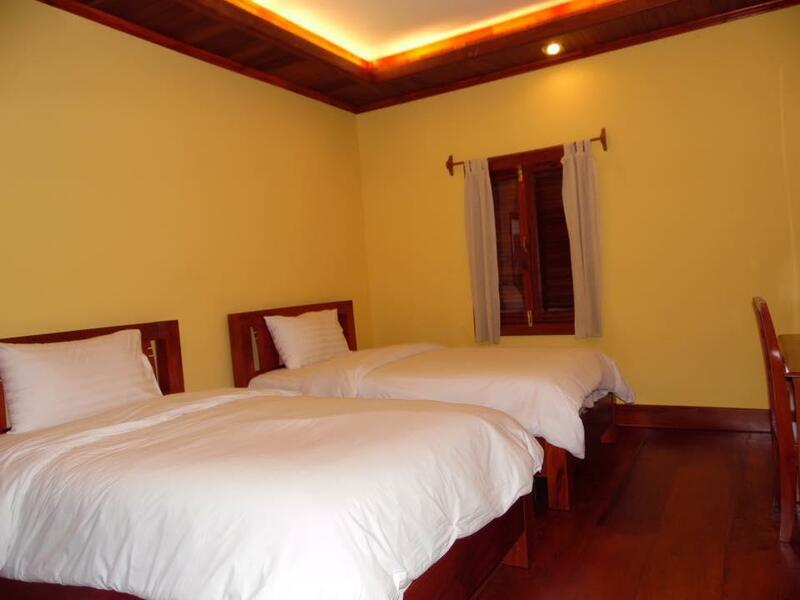 I just felt that a 75 USD room in Laos would produce better wi-fi, which is advertised on the website (if the wi-fi doesn't work, don't say you provide it! ), I assumed satellite/cable TV would have more than 1 English channel, and I feel they should offer the double/queen bed in the upgraded balcony rooms during booking because it doesn't make sense for a couple to sleep separately in 2 single beds if a balcony is coveted. 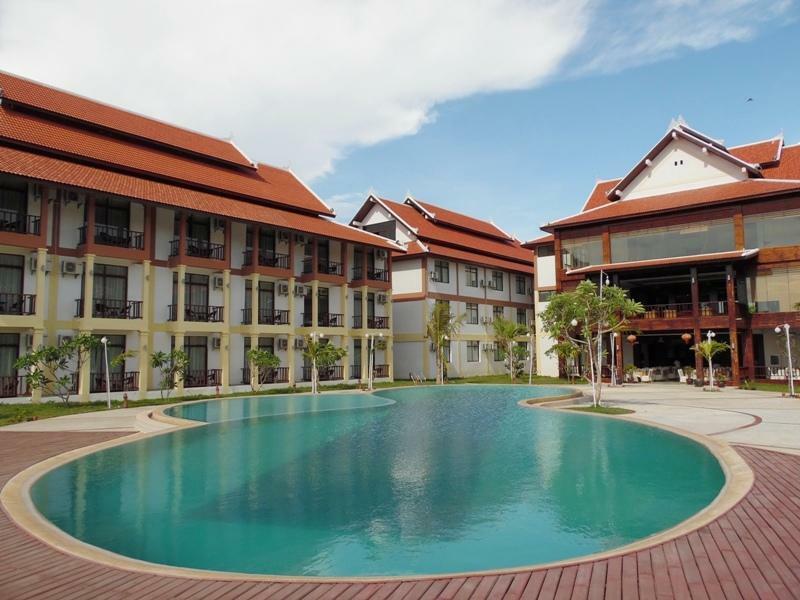 It has a large swimming pool, the reception area is large and open plan and the staff try their hardest to please. When we arrived we upgraded to a room over looking the pool and it was worth it as this time of year can get cold at nights and the pool views get access to the sun all day. This hotel has only been open a couple of months and it is still very early in its development, with problems in organisation of food and language it will take time for it to become a good four star hotel. The hotel is still under construction in some areas, but there was very little disruption, it is also about a thirty minute walk into town or a tuk tuk for around four dollars, you can also get free access to the hotels bikes although they come with no suspension and little in the way of saddle comfort. All in all we enjoyed our stay here and would not put anyone off going to this hotel, maybe do without the breakfast and head into town instead. Great, comfortable, large room. A great pool area as well. This hotel is specifically geared towards groups of Chinese tourists. 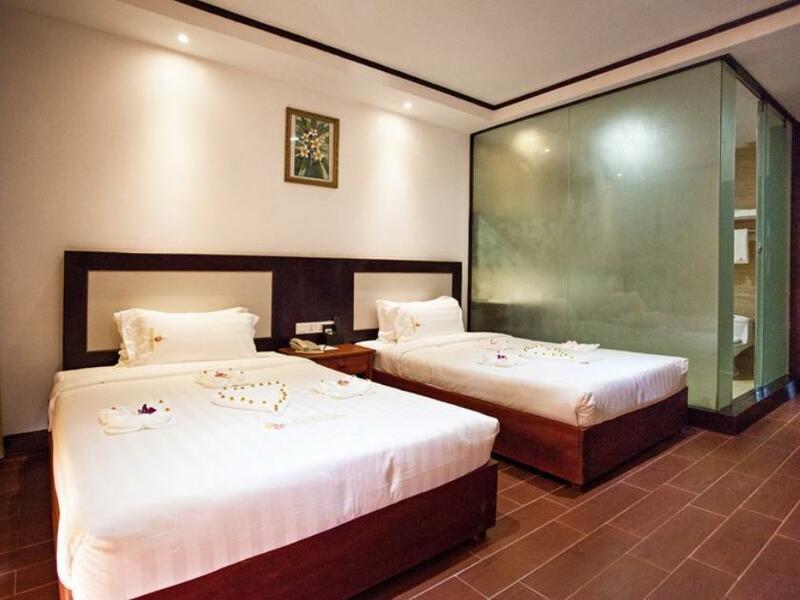 It could be romantic for couples who want a quiet place with a pool; but not of interest for other types of travelers. 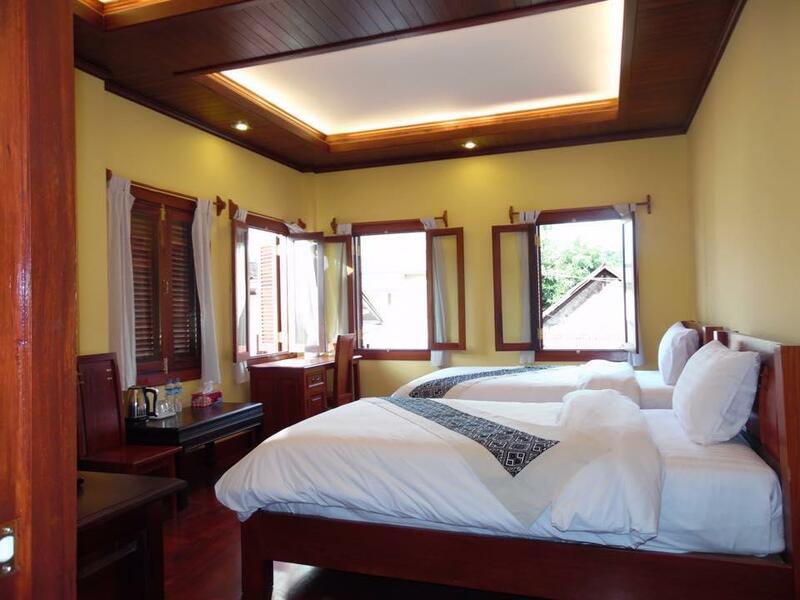 The hotel is in a quiet, distant place; not very close to the cultural town of Luang Prabang. This was very disappointing every time we needed to go to town, transportation had to be arranged (you can't catch it out front) and paid for. This doesn't sound like a big deal, but we would rather have been in the main action of town. There was a little bit of a communication barrier as we requested a few things that were dismissed and not attended to, and nearly missed our airport transport due to miscommunication. No one at front desk when we returned, to get our key, late at night. Wifi was advertised in the room, but it only worked in the lobby area, and not well at that. Don't want to take away from anyone's share of the tourism pie, so to speak, but there are other, more quaint, better places to stay. This hotel is low on charm, a cookie cutter resort. Отседнахме 3 вечер/и в ноември 2013 г. 라오스에서 보기드물게 수영장이있고 조식도 괜찮고 룸상태도나쁘지안은 큰호텔이었으나 중심가와 멀어도너무먼호텔.. 가격은 호텔 상태대비 나쁘지안다고생각하나 왕복 교통비를감안하면 싼것도아니네요..